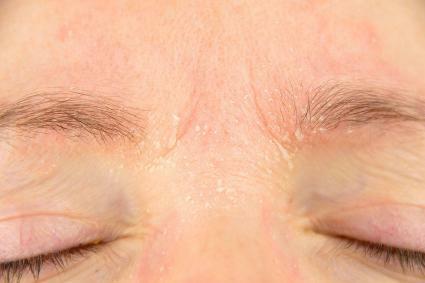 If you've ever dealt with dry scaly eyelids, you know just how uncomfortable they can be. Occasionally the condition can also be unsightly, particularly if the thickened skin is difficult to conceal. Fortunately, there are a number of ways to deal with this issue. However, it's important to first determine what is actually causing the problem. It's not just the obvious dryness and scales that define this annoying condition. You may find yourself dealing with a number of other aggravating symptoms. There are many reasons for dry eyelids, including itchiness, discoloration of the skin, swelling and soreness. It's not guaranteed that you'll deal with all of these problems if your eyelids are dry, but depending on the cause, you may find that your eye feels quite irritated. There are a few different conditions that cause dry eyelids. The most common is known as eyelid dermatitis (also known as eczema), which is quite similar in appearance to atopic dermatitis or contact dermatitis. 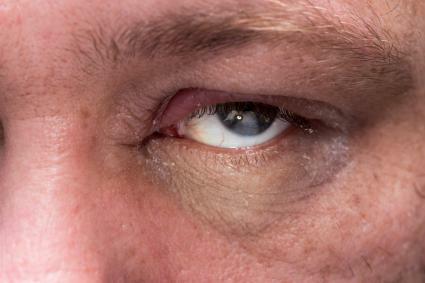 Eyelid dermatitis manifests itself as an allergic reaction to something that has direct contact with the eyelids. Though some of these culprits may seem surprising at first, they're actually not so unusual. It's not uncommon, for example, for an individual to eat something, forget to wash his or her hands, and touch the eyelids. Shampoos and other cleansers that touch the face can easily irritate the eye area - and it is possible to be allergic to your beauty products. Most substances that cause irritation are transferred by the hands, and since the skin on the eyelids is so thin, it's important to exercise caution and avoid touching the eyes with unwashed hands. Seborrheic dermatitis, which occurs when the skin reacts to its own natural oils and bacteria, is another potential cause of dry, scaly eyelids. This condition can occur in both children and adults. A condition known as blepharitis may also be to blame. This is chronic inflammation of the eyelids caused by excess bacteria. 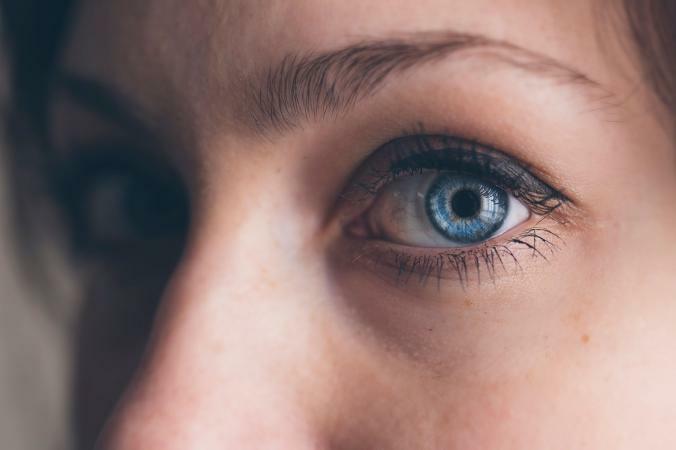 There are a number of symptoms in addition to scales and dryness, such as a burning or gritty sensation in the eye, sensitivity to light, redness,swelling, blurred vision or crusting on the eyelashes. Unfortunately, the condition is not curable, but the symptoms are treatable. It's crucial to seek treatment as soon as possible, as blepharitis can worsen if left untreated. 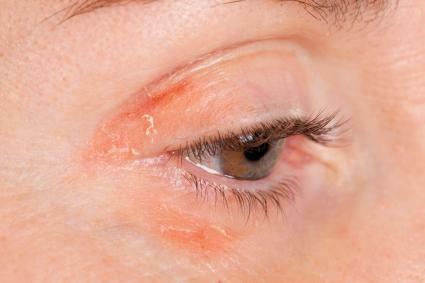 Psoriasis is another condition that can lead to scaly eyelids. The edges of the eyelids can become inflamed, and if this goes on for too long without treatment, the eyelids can turn down, causing your eyelashes to rub against the eyeball. A cutaneous form of lupus can sometimes cause scaly raised patches on the eyelids. There may be occasional itching, but over time, the patches may lead to deformities of the lids themselves. These conditions all need monitoring by your ophthalmologist or dermatologist because of the potential for eyelid and eye damage. Managing your dry eyelids requires caution since any harsh products can cause irritation or damage to occur. So, be sure to obtain a proper diagnosis from your physician before you begin to treat the symptoms. Is Moisture a Good Option? When dry skin occurs anywhere else on the body, the first line of defense is usually moisture - and lots of it. Applying a hydrating lotion can make a big difference in the skin's condition, supplying it with the vital moisture it needs to renew and recuperate. However, the skin around the eyes is different. It's thin and delicate, and therefore it requires specialized treatment for dry eyelid skin. This is why companies manufacture creams and gels that are formulated specifically for the eye area. However, moisturizers may not be helpful for all eyelid conditions, like seborrheic dermatitis for instance. To effectively treat the problem, you will need a diagnosis of the underlying condition. If you are suffering from any form of dermatitis, the most important thing to do is eliminate all contact with suspected allergens. Discontinue use of cosmetics (including nail polish) and seek the advice of a dermatologist. They may recommend allergy tests in order to determine the problem. Occasionally, topical steroids for eczema may be prescribed, but it is important to note that long term use of steroids on the eyelids can prove harmful, causing discoloration or atrophy. Steroid ointments can also cause cataracts or glaucoma after long-term use. Another option is to find out whether a non-steroidal treatment, such as Protopic or Elidel, is appropriate for treating your condition. Even if your skin condition is more than a simple irritation, there are ways to resolve it. Seborrheic dermatitis, when located on the scalp, is usually treated with different types of shampoos. However, your physician may prescribe an antifungal therapy or steroid cream to use for treatment on the eyelids. As mentioned, blepharitis has no known cure, but its symptoms can be kept under control with proper treatment. The first step is to hold a warm compress over the eyelids for five to ten minutes, three or four times a day. This will help soften scales on the lids and crusts on the lashes, making them easier to remove. 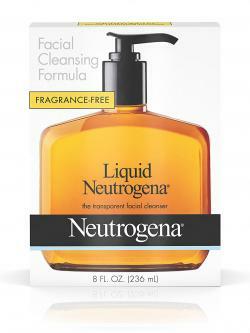 Apply a touch of mild cleanser (such as Neutrogena Facial Cleansing Formula or a baby shampoo) to the compress and gently cleanse the eyelids. Rinse with warm water and dab the skin dry. Your doctor may also prescribe an antibiotic ointment or artificial tears. Psoriasis on the eyelids can be treated with Protopic ointment, Elidel cream, or with a topical steroid. Protopic and Elidel don't cause the same complications as steroids, so some doctors may lean towards those. The treatment for lupus of the eyelids includes prednisone or an anti-malarial medication like plaquenil. A doctor will monitor your medication use as these medications can lead to other side effects in the eye, such as cataract and retinal damage. Topical or systemic antibiotics might be needed for any of these conditions if the affected skin becomes infected. 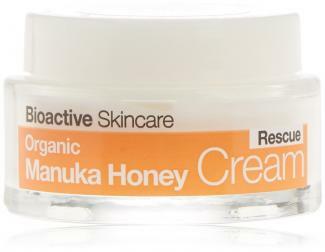 The Dr. Organic Manuka Honey Rescue Cream costs about $17 for a 1.7 oz jar and is getting rave reviews from sufferers of eye eczema. It also gets a strong rating on Google Shopping reviews, with a 4.8 out of 5 average star rating. Users praise how gentle it is, it fresh mild fragrance, and its ability to be used even on sensitive skin. Aquaphor Healing Ointment has a number of uses that include: soothing dry skin, cracked feet and hands, as well as treating burns. This multi-use product is often recommended by dermatologists to deal with dry scaly eyelids. It is formulated with 41% petrolatum, which allows oxygen to flow, and aids in healing. Aquaphor has been found to restore the skin, provide intense hydration, and according to the article "20 Unexpected Ways to Use Aquaphor," heal mild eczema patches. At a cost of less than $7 for a seven ounce tube, this is an affordable treatment option. DERMAdoctor Wrinkle Revenge: Rescue & Protect Eye Balm is specially made for use on and around the eyes. Though the benefits of consistent application include the improved appearance of fine lines and wrinkles, this product can also be used to combat dryness on the eyelids. It is an intensely hydrating balm that soothes and moisturizes without causing irritation. The product is allergy tested, hypoallergenic, fragrance and dye free, gluten-free, phthalate free, and does not test on animals. It has made numerous Best Eye Cream lists, such as Total Beauty's 14 Best Eye Creams. Approved by both dermatologists and ophthalmologists, it can soothe and heal sensitive eyelid skin. The price of a 0.5 oz jar is about $50. Managing dry scaly eyelids is important because the eyelids are extremely delicate. Left untreated, this condition can cause serious long-term damage. Washing your hands frequently and not touching the eyes or face is a good place to start. Removing makeup every night before going to sleep is another. However, following your doctor's advice is the best thing you can do to care for your eyelids.